Various explanations of the possible literary genre of the four gospels have been offered. Most Christians approach the gospels as biographies of Jesus. The do have some biography-like elements, but they are not biographies by the standards of the modern world. Only two show any interest in his birth, only one story occurs before his public ministry, and the majority of the material comes from the last week of Jesus’ life. Most biographical questions are left unanswered. Based on Luke 1:1-4, it is possible to read the Gospels as historical documents. Luke claims in the prologue to his Gospel and the prologue to Acts to be writing history. That stories are not created by Luke is evident in his claim to have sought the eye witnesses to the events. The tradition that Mark wrote his gospel based on the preaching of Peter indicates that Mark was well-versed in the eye-witness testimony of Peter. Mark appears to be used by both Matthew and Luke, Matthew also being an eye-witness. John supplements this material with his own eye-witness testimony, albeit from a theological angle at a much later date. While John’s gospel is the most theological of the four, the other gospels are not simply historical and non-theological. Matthew, Mark and Luke have clear theological agendas. One cannot approach these documents without getting into the question of who Jesus is, who he claims to be, and how the gospel writers present him in their telling of the story. The Gospels are therefore best described as historical-theological documents. The gospels are most similar to Greco-Roman biographies or history texts. Once we step into the world of the first century and study what history looked like then, we discover that the gospels are not all that removed from the standard of history writing for the time. Luke especially follows some of the conventions for writing good history in the first century. Craig Blomberg and other evangelical writers conclude that the genre is unique – the Gospels are theological biographies. They contain historical data that is presented through a theological filter. The writers are selective of the material available. They record the events of Jesus life in such a way to make a theological point about him, that he is the Son of God, that he is fully human, that he died as an atoning sacrifice for mankind. This make a historical, theological and literary study of the gospels legitimate, they are all of three of these genres combined in something of a unique fashion. 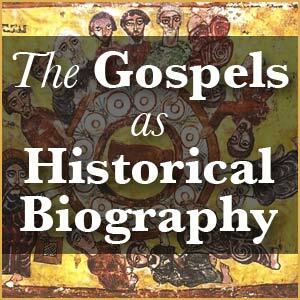 How does Blomberg’s description of the Gospels as “theological biographies” help us read the Gospels accurately? Is there anything missing this description that is important? Bibliography. The issue of the genre of the Gospels is covered by Craig Blomberg, Historical Reliability, 235-240; Klein, Blomberg, and Hubbard, Intro to Biblical Hermeneutics, 323-325, Willem S. Vorster, “Gospel Genre” in ABD 2:1077-1079; David Aune, “The Problem of the Genre of the Gospels: A Critique of C. H. Talbert’s What Is a Gospel?” Gospel Perspectives: Studies of History and Tradition in the Four Gospels, Vol. 2, ed. R. T. France and D. Wenham (Sheffield: JSNT, 1981) 9–60. I think of the Gospels as collections of Jesus’ words and actions from the memories of his earliest followers, which they had reflected upon in light of the crucifixion and resurrection and shared with later believers. About to start teaching through the Gospels on Wednesday nights. This is a great intro to genre that I may just have to share with my students. I would agree that the Gospels seem to be a unique genre (based on a lot of study of them and about them). I haven’t completely figured out what to make of that or why it’s the case, much as I’ve explored it. As to the “why”, though, a couple factors: they were written in a period of extreme, rapid social/economic/political change. The loss of the war, for Jews everywhere but especially in and around Palestine, literally “changed everything” (much more than how that phrase is superficially used today) – economics (massive losses of life and livelihood and of “place”), governance (loss of all the organizational and treasury functions of the Temple, e.g. ), religion (loss of sacrifices and priesthood), etc. A second factor, related, would be a period of high change and novelty (or invention) generally. Much of the Empire was in such a state, heightened by the Jewish unrest and then the war. The broader Jewish apocalyptic feeling and literature is part of this also… and reflected strongly in the Gospels, as also in Paul. It was far from a time of “business as usual” (though the Gospels seem, probably purposely, to convey “normalcy”, against the reality, but with hints showing through, e.g., in Mark 13 and its correspondence in Matt/Luke). Now, as to the historicity aspect, I feel you are strongly overstating it and downplaying what is pretty clearly non-historical in many, many places in all the Gospels. You are, it seems, granting Luke way too much honesty and straight-forwardness. He wants to make it SOUND like he’s an objective historian (by standards of his day… and perhaps he was comparable to others…. Josephus, though much more voluminous and detailed, was far from “fair and balanced” as well). Many volumes have been written both defending and “exposing” Luke’s historical (in)accuracy. In quick sum, no doubt he did some real “homework” to create a generally proper setting in time, people, and places for events, but there are many, many places even a careful lay reader can see his inventions and things like conflict with Paul’s writing on the same events – and wherein Paul’s account has to be given greater weight, in general. And THEN there is the “spin”…. I won’t go into what is well established among a wide range of NT scholars re. how Luke is deliberately creating a story of only minor early conflicts with ultimate resolution into a single unified “church” as led by the coming of the Holy Spirit (his theme)… whereas Paul’s and other inferred or slightly later material shows quite a different reality (seen even within the NT aside from Paul, such as the epistles of John). Now, the latter was more about Acts than Luke’s Gospel, but he claims the two are linked, as most scholars accept, and we can expect his approach and methods are basically the same. Anyway, the great bulk of all four Gospels are composed of places where the literary (dramatic story and effect, for example) and the theological blend and leave history almost fully out… beyond the few basics which do not, in themselves, carry much of a theological or “doctrinal” message. These few clear bare outline points do not establish even IF the historical Jesus claimed to be Messiah, for example, or if his “other kind of Kingdom” message and ethic alone was enough for the establishment of Israel/Rome to need him eliminated. Anyway, Phillip, I’m glad to see you addressing this issue and wonder if you plan to go into it in more depth in future posts… I hope so. I’m always trying to learn, even from places I’m likely to disagree with as much as agree. Phil, I have a fairly lengthy discussion of this in “Gospel of the Lord: How the Early Church Wrote the Story of Jesus.” Generally, I think Greco-Roman biographies is write, with a mix of sacred history and apocalyptic worldview. That is the volume just released by Eerdmans (as of 22 August, it appears). I think I have it in the queue for a review in the near future! We not only have to look at the Gospels as historical documents and eye witnesses to the events. The main part of the writers was to give an idea who Jesus was, what his teaching comprehended and to teach the world the importance of following those teachings of their master teacher. As Phillip J. Long writes, the Gospels should best be described as historical-theological documents. Knowing that the Gospels are all at once, historical, biographical, and theological helps us as readers to navigate the text more accurately and deeply. When we, instead, merely approach the text believing them to be one of the three aspects we miss out on the full meaning of the text. Truly, according to Mark L. Strauss, it is important in general to ask, “what are we reading?” (Strauss, 27). With this in mind, it brings to light why knowing that the Gospels are all three collectively is important. If we believe the Gospel to only be historical, then we miss out on the development of the plot and the lessons to learn or content to be believed (Krauss, 28-29). The only thing that could be added to Blomberg’s description is the acknowledgment that there is a difference between the synoptic Gospels and the Gospel of John, being that John is focused more on Jesus himself, while the Synoptics are focus more on the historical documentation of the events of the time of Jesus, along with Jesus (Klauss, 25). That being said, they all are historical, biographical, and theological to different extents. Mark L. Strauss, “Four Pourtraits, One Jesus”, 23-42. Blomberg’s description of the Gospels as “theologian biographies” is extremely helpful to us as we read through them. It uniquely encompasses the historical, theological, and literary aspects of Matthew, Mark, Luke and John. I think the in-depth description above clearly identifies the important facets in relating to the Gospels. Although some of the books may weigh more heavily in one aspect, such as you mentioned professor Long (and in Strauss’ book, Four Portraits, One Jesus, chapter 1) with the Gospel of John primarily being the more theological book out of the four. However, each book clearly owns pieces of each genre through it’s entirety. Overall, the most important thing to remember when reading or discovering the different genre’s of the gospels, is that each confirm Jesus as the Messiah, the Son of God (Matthew 1:23, Mark 14:61-62, Luke 2:11, John 1:1). I see where Blomberg is coming from. I do agree that the gospels can be theological biographies, but, to me, I think that is taking away from other areas of the gospels as well. According to Mark L. Strauss he suggests, “The genre of the Gospels may be examined under three headings: history, narrative, and theology” (Strauss 27). Which Blomberg does say, but he also says that the history and narrative goes through a theology filter, which takes away some aspects of the Gospel. For me it the gospels should be looked at as historical, narrative, and theological not just theological biographies that filter the history of the gospels. I think it is important to understand the genre of any passages that we read, in this case the Gospels being considered “theological biographies”. However, I think this is more important for simple educational purposes, and not so much Scriptural purposes. What I mean is that when trying to gain a general knowledge of the Gospels, it is good to know the genre and characteristics of the books. Knowing that there are elements of both a biography and an theology book helps s to wrap our heads around them. But when it all comes down to it, our main desire as Christians when reading the Bible is to let God speak to us. Though knowing the genre is helpful, we can do so without knowing it. The Gospels are not merely a collection of abstract concepts about an unknowable God. Rather, they tell a vivid story by giving the reader an insider’s look into the life of the most influential Man in history. It is clear that the writers of the Gospels intended to present a factual, historically accurate retelling of events that happened in the life of Jesus in first-century Palestine. “Luke certainly claimed to be writing accurate history. . . The point here is that Luke’s intentions were historical” (Strauss 27; See Luke 1:1-4). With this in mind, we can understand the genre of the Gospels as being historical narrative. I would also agree with Dr. Long’s assertion that the Gospels “must be considered theological documents.” The Gospel authors clearly had a purpose in writing which influenced the events included and the language used, and this purpose varied from author to author. Each portrayed Jesus in a different way, painting a beautifully complex picture when the Gospels are compared side-by-side. Rather than simply coloring their narratives with the tint of their own presuppositions (as, frankly, all writers are apt to do), the Gospel writers carefully crafted their works to highlight different facets of Jesus’ person and position. Therefore, we would be remiss if we did not also acknowledge the genre of the Gospels as theological. Strauss condenses these two ideas into the classification of the Gospels as “historical narrative motivated by theological concerns” (Strauss 29). I feel that this correlates well with Blomberg’s description of “theological biographies” as both consider the historical and doctrinal purposes of the texts. I realize the felt need of certain scholars and lay people to keep a strong connection of Jesus and historical fact. But it’s a lot more complicated, consciously (and threatening to many, largely UNconsciously) than we would like it to be. For example, I’m wondering on what basis you state, “It is clear that the writers of the Gospels intended to present a factual, historically accurate retelling of events that happened in the life of Jesus in first-century Palestine. “Luke certainly claimed to be writing accurate history. . . The point here is that Luke’s intentions were historical” (Strauss 27; See Luke 1:1-4)”. There are plenty of other indications, mostly right within the texts, that the other Gospels (besides Luke’s) are also almost certainly MORE concerned with effective drama and story-telling related to theological points than relating of historical events on the way to making theological points (or reflecting “biblical truth”… which also has to be defined as THAT is far from clear itself). Still (as I like to quickly add), we, whether “progressive” or “traditional”, can find a substantial and “godly” model and guideline for spiritual/moral life in what the Gospels present of Jesus. It is not an “all or nothing” kind of thing… and our grasping of nuances tends to increase with age and experience, if we allow it. Just one (for brevity) example of the point about “history” vs. literary device: Doesn’t the author of Matt, in ch. 27: 51-53, seem to NOT be concerned that these supposed events were apparently NOT verified elsewhere… probably with realization that his audience didn’t care? And, astounding as they were and highly memorable, that they were not even mentioned in another Gospel (that we now possess)? (He certainly had Mark and some earlier oral or written tradition he was working from, and most of that passage was not repeated by Luke or John either). And remember, this is just an example out of many potential ones, not any kind of “proof-text” unto itself. Near the end, above, in saying “they” (events) were not mentioned in another Gospel, I just mean certain elements… for example, the supposed “rending of the veil of the temple” appears in all the Gospels, though with differing timing… a powerful symbolic/theological point but probably NOT an historical event (at least one never mentioned nor “refuted” by any Jewish, non-Christian author, whether Josephus or the bit-later rabbis). You say you have not found “Luke’s claim, in effect, of “accurate history” to hold up,” which is something discuss from time to time with respect to the Book of Acts. In the Gospel, at least, we can at least see some of his historical method, since he does use sources (Mark and some Sayings Source, Q or Matthew). While there are unique elements in his Gospel (some parables, etc), for the most part his history coheres with Mark and Matthew. He does not create any wildly conflicting stories nor does he introduce serious contradictions of the earlier material. For the most part I think I would characterize him as faithful to the sources from which we know he drew. You might not agree, but I think this ought to count for some credit in reading Acts as history. You response is good, however, in reminding us of the literary (and theological) nature of the gospels. These books are not history in the modern sense of the word, and if we are going to apply the same standards of history writing we use for a modern history text, we will be disappointed. These are theological-literary-historical documents, and they served the need of the community for which they were written (an early Christian community, IMHO more Jewish than Nicean. I don’t have a “reply” button under your comment of today (9-9) replying to mine and beginning “Strauss is an easy target…” So I’ll reply here. First, I realize your audience has a broad range, from relative novices in biblical studies to some of us with lots of formal and informal (self-directed) study. I try to make my comments for something in the middle, as you probably do your posts. In that spirit I won’t go into depth re. Luke and his writing. As you know, there is even less to “compare to” for Luke’s Acts than for his Gospel. Mainly just Paul’s epistles and potentially Josephus. The conflict areas between Acts and Paul on the same events or situations is much-explored in scholarship, as you know, but lay people don’t… or in any depth. On Josephus (as a source) and comparison point, Steve Mason in “Josephus and the New Test.” has a long chapter in which he examines possible incidents of Luke relying on Josephus. The evidence is not extensive, but he compiles enough cases with careful analysis to make a good case that Luke very likely used Josephus, perhaps as a significant source (there apparently wasn’t much else, at least known to us, aside from Roman legal and political records… almost nothing dealing with budding Christianity in the 1st century, other than Paul’s mostly localized letters, even including Josephus). To have used Josephus’ Antiquities (pertinent writing), forces Luke-Acts to at least the mid-90s, but nothing really mitigates against such a date, and many scholars put it that late for reasons fully aside from use of Josephus. And, in turn, this is important as an additional indication that Acts was a retrospective story of a period a few to several DECADES past (ending around mid 60s with no mention of Paul’s death, or Peter’s). Apparently Luke was both not an eyewitness of Jesus, and also likely not even an “eyewitness” of the Jerusalem Apostles (and likely not of Paul, despite the “we” sections). The Jeru. believers, IF they remained there and survived until the 69-70 starving out and destruction of the city, were killed or taken prisoner. They may have fled prior but Luke gives us no info on it, nor indication he was with any of them. So, as far as we know, he had mostly handed-down tradition to go on, beyond verifiable dates, politicians and places, and LOTS of room (from our perspective and probably the time of his immediate audience as well) to spin a relatively few “facts” in whatever way he wanted. The examples from comparing his way of presenting Paul in relation to James and Peter with Paul’s own I have to say indicate a serious “idealizing” of the facts, at the very least. “Identification is not always so easy, and it is possible to misidentify literary genres” (Strauss 26). The case of misidentifying genres can be detrimental in reading any form of literature, especially in reading the Gospels in this case. Bloomberg’s description of the genre of the Gospels as a “theological biography” can help a reader significantly identify the genre. If you can identify with the type of literature you are reading, you can comprehend the literature more accurately. The stories in the Gospel contain three forms of genres; historical, when referring to Jesus birth (Luke 2) etc. Biographical, as referring to Jesus’ life, and theological, they all point towards the kingdom of God (Matthew 3:2). The only thing that Bloomberg’s description is missing is the fact that the account of John is much more focused on the life of Jesus, and how it is not synoptic as the other three gospels are. Nonetheless even John contains all three forms of Genre inside of it. Well, the genre of a piece of literature obviously affects the way we read something. We read a fiction book much different than a non-fiction book. So clearly identifying the genre of the gospels is very important. Blomberg’s genre, “theological biographies” makes a lot of sense to me. They are stories about the life of one man, but they are clearly and definitely created with a theological purpose: to proclaim Jesus Christ as the Messiah. Strauss made the point that the Gospels were edited, and additions and omissions were made (61) to drive home certain points. A simple biographical or historical account of Jesus would not be so redacted. The genre of any book you read is important to know I think before you read it. It changes how you are assuming things might play out in the book or things you think could possibly happen. So it seems that knowing whether a book is fantasy or non-fiction is very important. The Gospels definitely seem to be historical-theological documents and that is good background to know. We need to know what we are reading and why we are reading it. I think that describing the genre of the Gospels is very important to know before reading them because it sets up a complete mind set and understanding from the start. Not only does this identification help us to know what to expect, but it gives us a unique lens to look through which will help us to interpret the true meaning of them. This also helps us to find the true purpose of the Gospels which is to show many different perspectives of Jesus and his redemptive work for all of us. I think this explanation of the Gospels is a great classification because it contains the “historical, theological and literary study”. These are three very unique perspectives to look at which apart would leave out a lot of meaning. For example, if we were to look at the gospels as just historical, there would be a lot of meaning but we would miss the theological background and miss the overall meaning of them. But without the historical aspect, we wouldn’t understand the magnitude of many theological teachings throughout. The only time I ever used the word ‘genre’ was when I was discussing the topics of music and different song styles. I hadn’t ever thought of books in the Bible having different genres. I do not fully understand why exactly the Gospels need to be put in a certain genre, I assume it somehow helps to understand the books better. Obviously the Gospels should be understood as a part of history, unless of course they are thought of as fiction. In this case they are not fiction, therefore according to the definition of the word ‘history’ the Gospels would be categorized as historical. Calling the Gospels biographies is also a true statement. Knowing that the Gospels were written by real life people, with real human characteristics is helpful when trying to reading the Gospels accurately. Two thoughts, Marksjoerdsma: There is actually a LOT of importance to a fairly wide variety of genres of literature in the Bible… Phillip has just touched lightly on it re. the Gospels. There’s a lot to learn about re. Acts and history-writing of the time also, as just one key example. Then there is Revelation, which is so enigmatic partly because of the apocalyptic genre (i.e., don’t be looking for clues to its literal fulfillment!). Second, if one is at an early stage of needing either-or kinds of simplicity, I understand. But upon reading the Gospels each separately (without pulling in wording or elements from the others mentally) and THEN reading each of them “up next to” the others (or comparatively… with literally 4 parallel columns if necessary), it’s impossible to sort out the real “history” in many, often important, situations…. Key example being about Resurrection appearances. The genre is certainly important. But there must be a broader understanding which includes the purpose and time and place of writing… as close as we can get to it. That is one reason the dating work of scholars is important…. particularly that of dating all the Gospels, at earliest in 70 C.E. (Mark, possibly) and all but possibly Mark at least a few to several years AFTER. I’m out of time but if anyone is not educated in some depth on it, it is critical to spend a bit of time learning about the revolt/war against Rome, the 69-70 C.E. starving out and destruction of Jerusalem AND the Temple, and what the implications of this massive national/economic/cultural/religious event were…. INDISPENSABLE! It is important that we read the gospels with the understanding that each book is not one specific genre; but rather Matthew, Mark, Luke and John have biographical, historical, and theological aspects to them. If we have this understanding about genre, then we will have deeper insights into the text. Strauss asks the questions “are they historical accounts meant to pass on factual information? Are they theological documents meant to teach biblical truths?” (Strauss 27). These questions are important to ask when reading, because if we know the context of the book then we will know what to look for, whether it is biblical truth or historical facts or a narrative of someone’s life. The gospels are interesting to read because they cover all of these aspects in each book, even if one aspect is more heavily focused on; like John, whose book is mostly focused on theology rather than a narrative of Jesus’ life. All three aspects are important to our understanding of the life of Jesus’ and his teachings. We gain historical facts, biblical truths, and a narrative account of Jesus’ life by recognizing the different genres in the gospels.